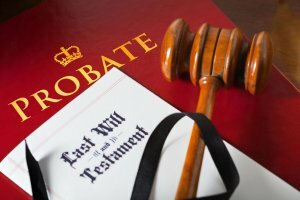 What is a Probate Bond in South Carolina? A probate bond is a type of fiduciary bond (also known as an executor’s bond) in a probate court estate. It is a South Carolina state court bond that is issued on the performance of an executor or administrator of an estate. The purpose of the bond is to protect the beneficiaries or creditors of the estate from harm caused by the malfeasance or negligence of the executor or administrator. In South Carolina, a probate court bond is issued to administrators, executors, conservators and guardians in probate estates. How Much does a Probate Bond Cost in South Carolina? The cost of a probate bond can vary widely depending on the amount of coverage that is required. It is based on the total amount of the estate, including any real estate, that the fiduciary has to oversee. The bond premiums are normally calculated at one-half of one percent (0.5%), which is equal to $500 for every $100,000 of estate assets. We work diligently to find the lowest premiums possible in the state of South Carolina. Please call us today at (913) 225-8501. We’ll find you the very best rate possible. How do I get a Estate Bond in South Carolina? We make it easy to get a probate bond. Just click here to get our South Carolina Probate Application. Fill it out and then email it and the South Carolina probate court documents to probate@swiftbonds.com or fax to 866-594-2771. What is a Court Bond in South Carolina and How do I Get One? See our South Dakota probate bond page here.